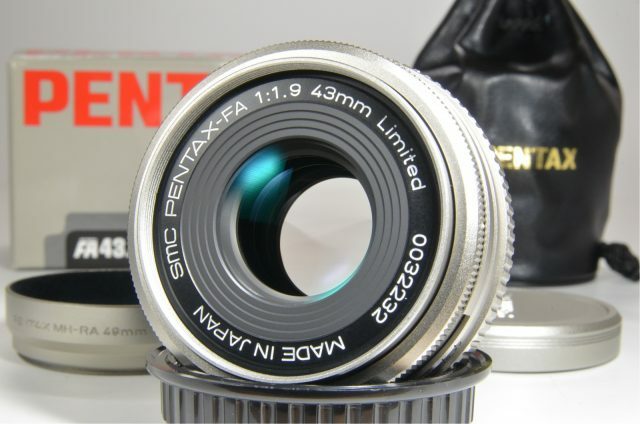 The Pentax SMCP-FA 43mm f/1.9 are lenses that are of the ideal focal length for professional standard portraits and close ups of mid-sized objects and product shots. They are considered wide-angle and prime lenses because of their fixed focal length of 43mm and their particular defined photographic purpose. This 43mm lens give you the distance from the corner to corner on a frame of 35mm film. It is compatible with film and full-frame digital sensor (DSLR) cameras from Pentax. The Pentax Digital (APS-C) works in autofocus and manual focus. Its aperture ranges from a maximum of f/1.9 to a minimum of f/22. It’s capable of 53-degree angles. The minimum distance you can shoot is 1.5 inches, and its magnification is 0.12x. This item doesn’t come with a hood, but will fit standard Pentax ones if you need to take it outside and manage noon sunlight. This 43mm f/1.9 limited edition has a strong durable construction designed for snapping breathtaking portraits and products for many years to come. Its images are sharp, but with contrast, and you are able to get breathtaking bokeh effects in your photography. Pentax’s super multi coating give these cameras a great capacity to retain light, which means incredible results for such a light compact lens. 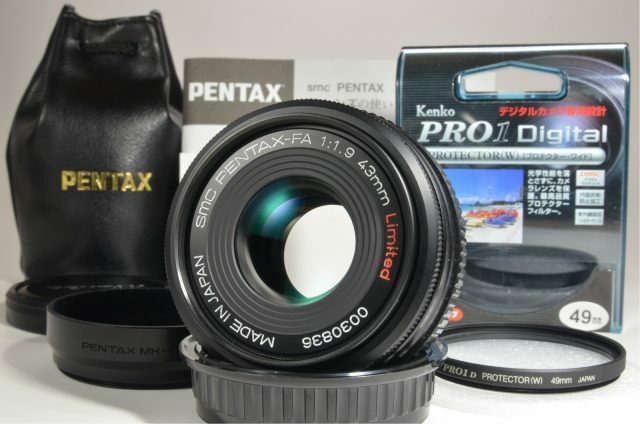 Most of the parts of the Pentax FA are constructed from metal, which makes them extremely durable. They have a focus ring that moves smoothly and a super multi coating that produces sharp and highly contrasted photos every time. There is also a dedicated aperture ring that reduces ultraviolet rays while lowering the surface reflection, which enhances this further. There is no internal stabilization process, nor is there an internal motor in the limited edition Pentax FA, so there is a slight noise when focusing. It is highly recommended that you use a professional tripod to keep the device still and get perfect results each time. These lenses were really made with professional studios or camera setups in mind. This is also a nice piece of photographic equipment for shooting outdoor photos as well as up-close indoor photos, with a minimum focus distance of 1.5 feet. While this prime portrait and close-up lens assumes you will be using a tripod and professional gear, you can also use a pair of steady hands for great images.